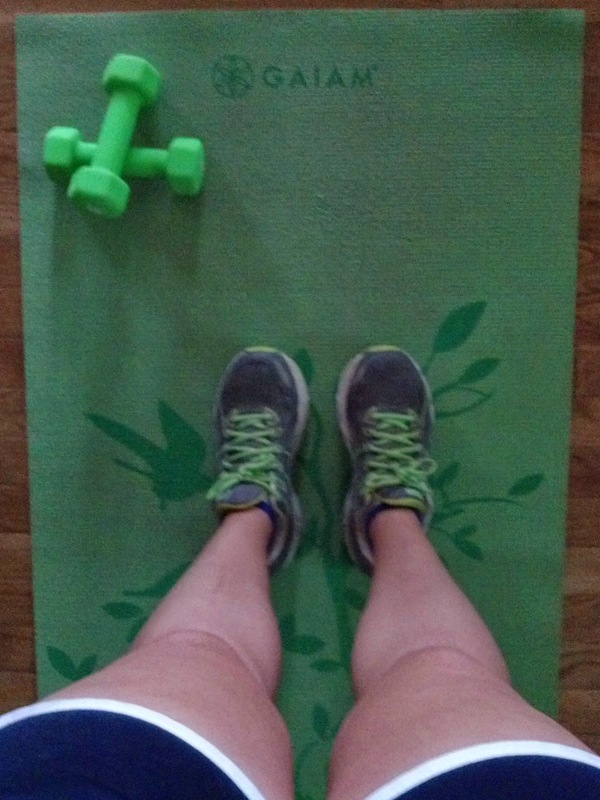 This morning I started my day off with some cross training in the form of level 3 of Jillian’s 30 day shred. I tend to do this workout about once a week, but it had been awhile since I worked out before work. It was a good way to start my day. Speaking of work, I spent part of the day today at an ostrich farm. According to National Geographic they are the largest bird in the world, live 30 to 40 years in the wild, and can sprint up to 43 mph. They can also run 31 miles in an hour! And here I thought it was so cool that one ran along side me easily while I was going 20 mph on a bumpy gravel road. I don’t necessarily need all fast and upbeat songs. As long as it’s music I enjoy that works for me. Do the majority of your workouts happen in the AM or PM? Have you ever seen an ostrich in real life before? Do you listen to music when you workout or run a race? What type of music do you prefer? 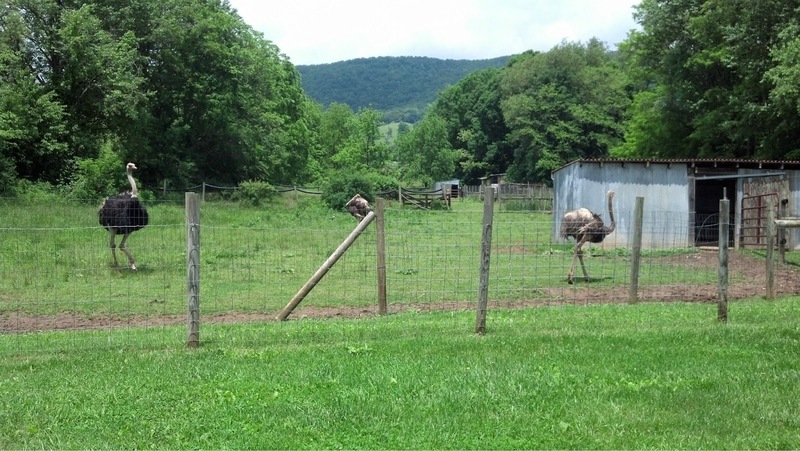 I guess I’ve seen ostriches at the zoo, but I’ve been to an emu farm!!! I prefer to run in the morning, but if I hit the gym, that usually happens in the evening! I prefer to do my long runs in the morning, but during the week I prefer running in the evening. I am with Holly on the ostriches in a zoo. SO COOL you were able to see an entire farm! What are they bred for? Today I was indecisive and ran in the middle of the day around 12:30. But it was in the mountains with a cool breeze even though temperatures registered in the 90s. Somedays I prefer the morning and other days the PM. I am really all over the place! Anywhere from 12-5 is perfect for me, but I have to plan according to the weather and my schedule of the day. Ostrich can be raised for a number of things including meat and eggs. The farm I was at raises them for meat, much like a farm that raises chickens and sells the eggs. Your run in the mountains sounds nice! There is a farm in New Mexico that I passed all of the time. They raise Ostriches for food. Never had it. Probably tates like chicken! Music – Old fashioned I guess. I listen to the radio. It is more for the distraction than the pumping up. If the songs are too good I wear myself out singing along. I wear myself out singing along, too 🙂 especially on long car rides. I’ve seen ostriches before and they kind of freak me out. Birds that large aren’t normal unless they are on Sesame Street. LOL If you get close they turn their heads to look at you sideways, close-up, and I about pee my pants when they do that. Their eyes are so big, too! They look like billiard balls. When I was reading ostrich facts on the Nat Geo website I read that their eyes are so big that they take up most of their head and their brain is smaller than one of their eyes. I studied abroad in South Africa and there were ostrich EVERYWHERE! I should also add to the Nat Geo facts that they are quite delicious (sorry, ostrich). I don’t usually listen to music on my runs, but when I do it’s usually something more chill like Mumford and Sons. Can’t wait for your race!!! Yea! I read that they were native to Africa. It looks like that’s the only continent where they are wild, though. I haven’t tried ostrich before. 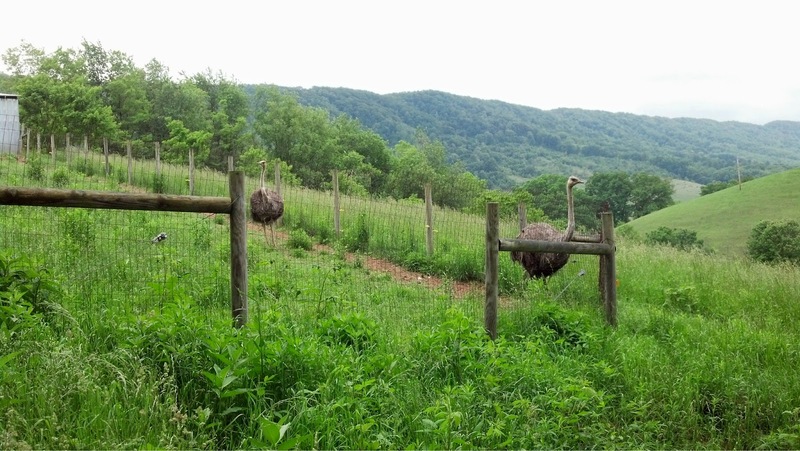 As long as those ostriches stay on that side of the fence I’m OK running with them! Same here! They actually can be pretty dangerous, because of their claws. If I had to work directly with them I’d want one of those Kevlar vests the bull riders and policemen wear. My mother and father-in-law have a home in Utah close to people who have ostriches. They brought home an egg and scrambled it ~ the kids loved it, but I just couldn’t bring myself to eat it. They are amazing animals! Their eggs are huge, aren’t they!? Haha you and your son sound hilarious in the car! I would be singing right along with y’all.